Although growing a vegetable garden is the best way to provide large amounts of fresh food for you and your family – it of course also requires an annual effort. After all – no matter how beautiful and productive your tomatoes, peppers and corn grow – those annual plants die off at some point each season and need replanting the following. 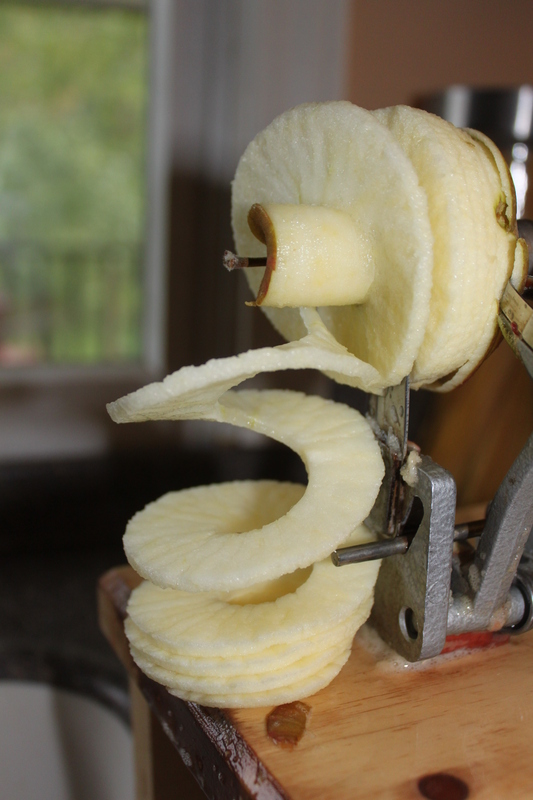 An apple tree in your landscape can provide years of fresh fruit! That is where perennial crops can really help fill in the gaps! Growing perennial varieties such as asparagus, strawberries, blueberries, blackberries and grapes can fill a huge void in your year-round food needs. Add in the bounty a few fruit trees can bring in the form of fresh apples, cherries, pears and more – and you just might have all you need! Another benefit – all of the above are not only incredible to eat fresh – but they are perfect for making jams, jellies, pies, cobblers and more. They are also some of the easiest crops to store and preserve. 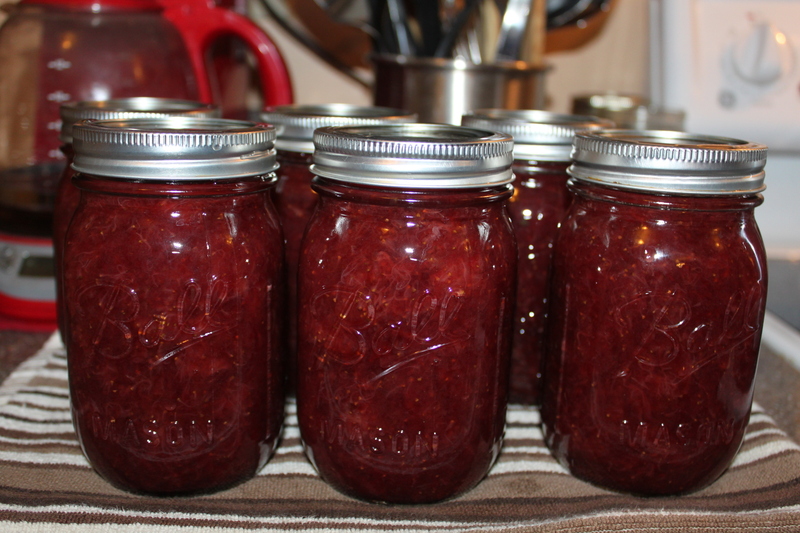 As much as I love fresh veggies from the garden – it would be hard to live with out homemade apple butter, strawberry honey jam or blueberry pancakes that perennial crops bring to the table! Both strawberries and blueberries are low-maintenance crops, and one of the easiest to add to your landscape. As perennials, they continue to keep producing year after year – with little effort on your part. June bearing have always been our favorite – simply because they tend to be larger and more plump – and what most of us know as “true strawberries”. We also like the fact that they come into season all at once for about 3 weeks – allowing big harvests that are great for making preserves. 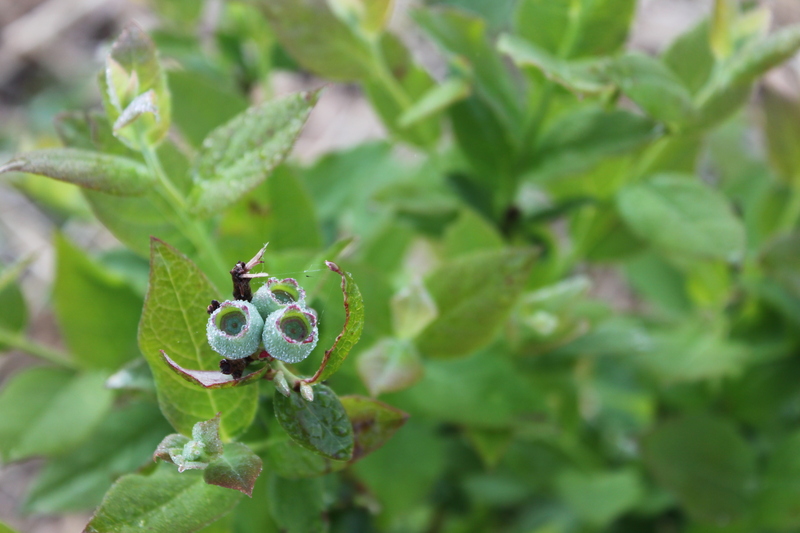 Blueberries on the other hand can grow on compact bushes and provide a steady crop of fruit for 20 years or more. There are three types of blueberries: large or highbush, lowbush and half-high, which is a mixture of the two. The lowbush and half high work well for us because they tend to be more “winter-hardy”. Blueberries can take up to 5 years to really reach their peak production level – but they make an excellent choice for backyard gardeners because many of the varieties are compact and take up little space compared to large fruit trees or nut bushes. They are delicious fresh, great in muffins – and can also be used to make syrup and jams – not to mention easy to freeze and keep for eating all winter long. 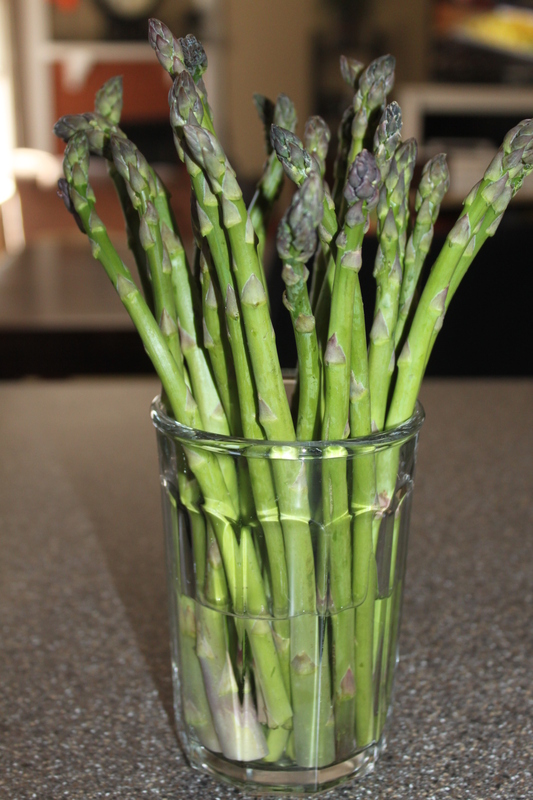 Asparagus is different from most of the vegetable crops planted in the garden. As a perennial – they can provide a good crop for 20 to 25 years for you and your family to enjoy! Interestingly enough, asparagus plants are either male or female. The males are known to have larger and more abundant spear production, while the female varieties tend to be thinner and produce seeds in the fall for reproduction. Popular male varieties such as Jersey Giant and Jersey Knight are great choices for those looking for maximum yields. Asparagus can be started from seed or from what are called crowns – which are nothing more than the roots of 1 to 2-year-old asparagus plants. Most prefer starting them with the crowns and not from seed to get a jump on harvesting a good crop in just a few years. There is something that is so satisfying about planting fruit or nut trees – knowing that you are playing a part in creating a delicious and nutritious food source for you and your family for years to come. The varieties are almost endless depending on where you live – apples, pears, peaches, plums, cherries and all types of nuts. Fruit trees are a valuable addition for those that are trying to be more responsible for growing their own food – and other than a little pruning from year to year – requires little maintenance for the bounty of harvest each season. Although you can plant fruit trees in your landscape at any point of the growing season – fall is really the best time to plant. 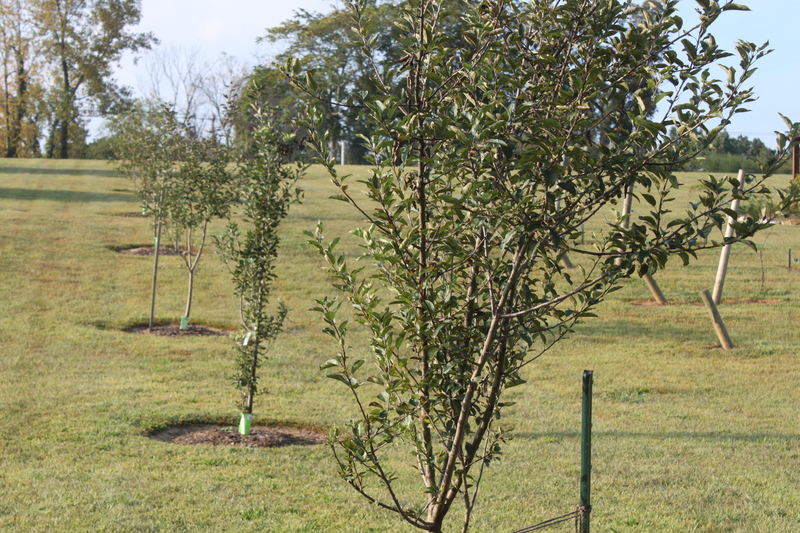 By allowing them to become established in the cooler temps of late season, the trees have a much better chance of surviving the stress of transplanting. Growing your own grapes can provide all types of food options – green or purple table grapes are perfect for each fresh, others like the Concord variety are perfect for making juice, jams and jellies. And then of course if you happen to like wine – there are plenty of varieties to choose from to make a great glass of homemade Vino! Grapes are also a crop that gives a lot of options for fitting into your landscape. They can be planted and trained to a fence row, or made to grow up and fill and arbor that doubles as a summer shade provider. 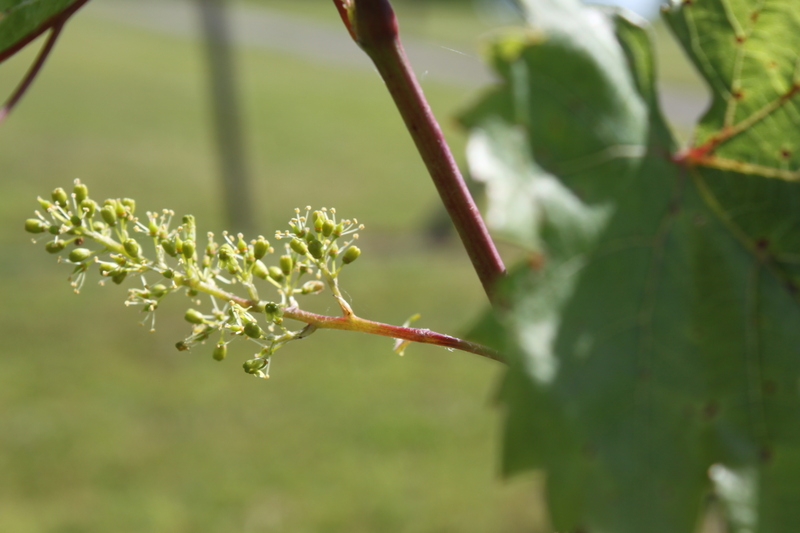 You can also plant them in the more traditional post and wire set-up that can be found at many vineyards that dot the landscape in all corners of the world. So there you have it – how about adding some perennial food sources to your landscape this year and enjoy the “fruits” of you labor for years to come!